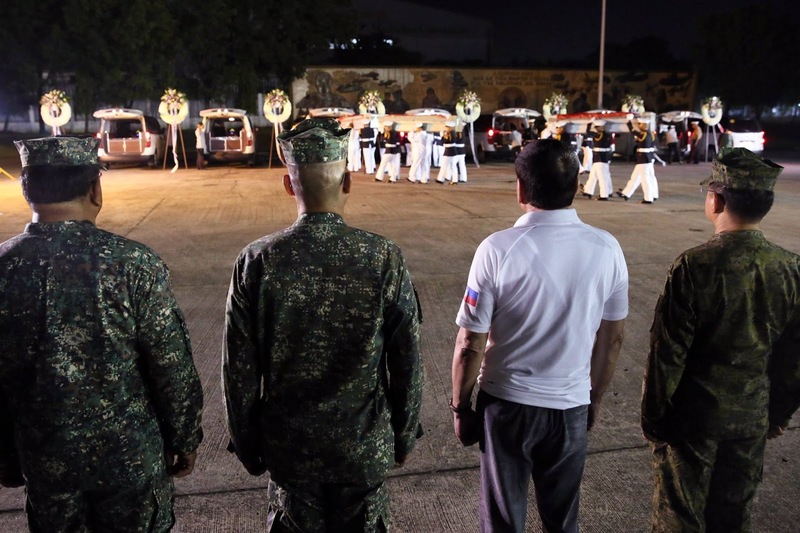 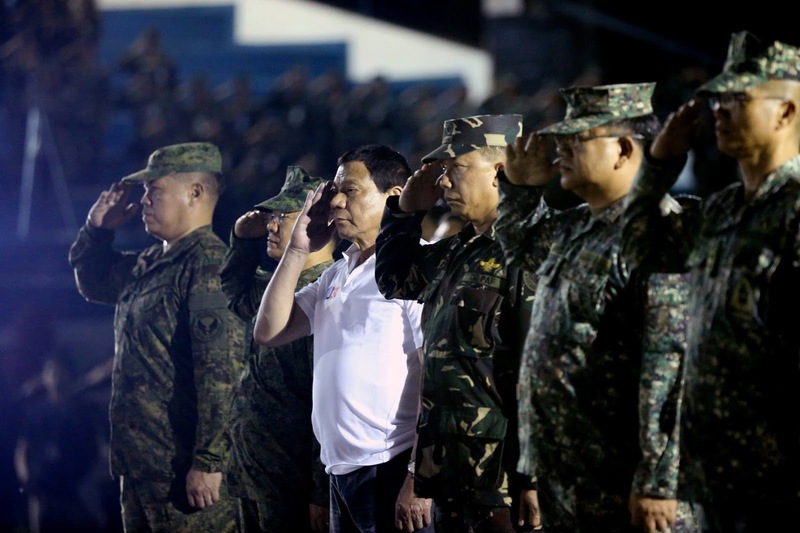 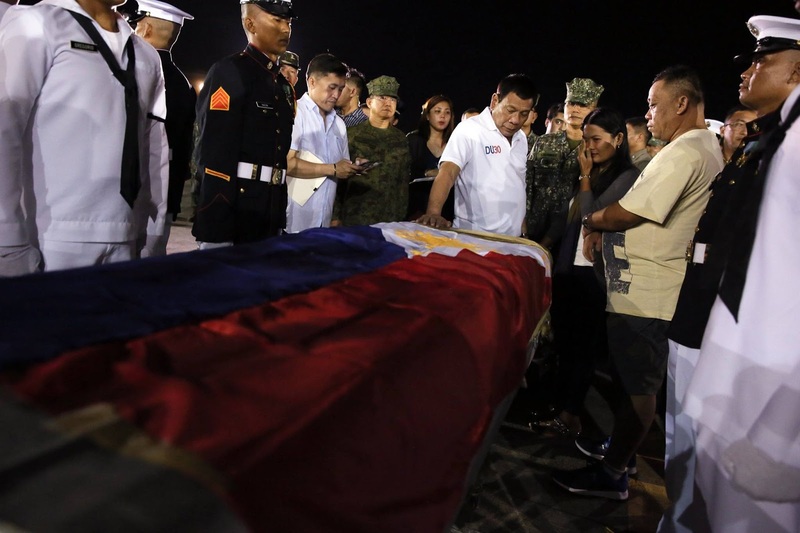 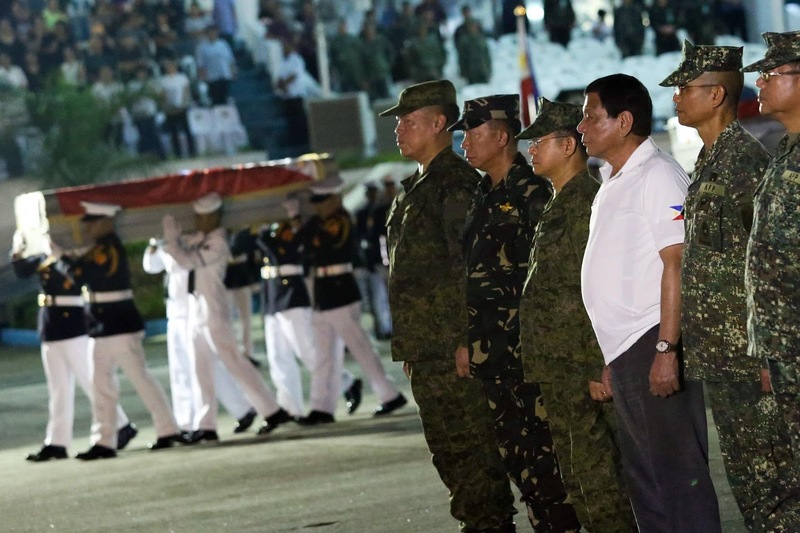 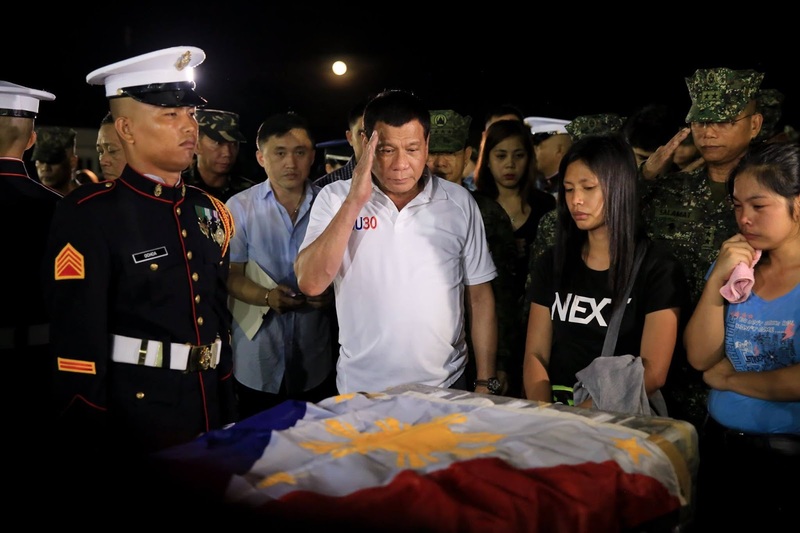 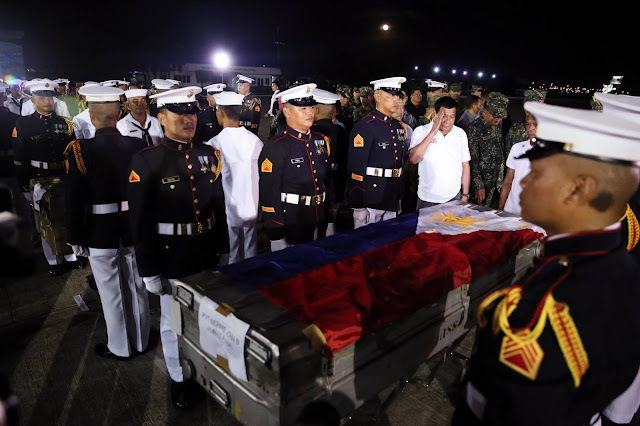 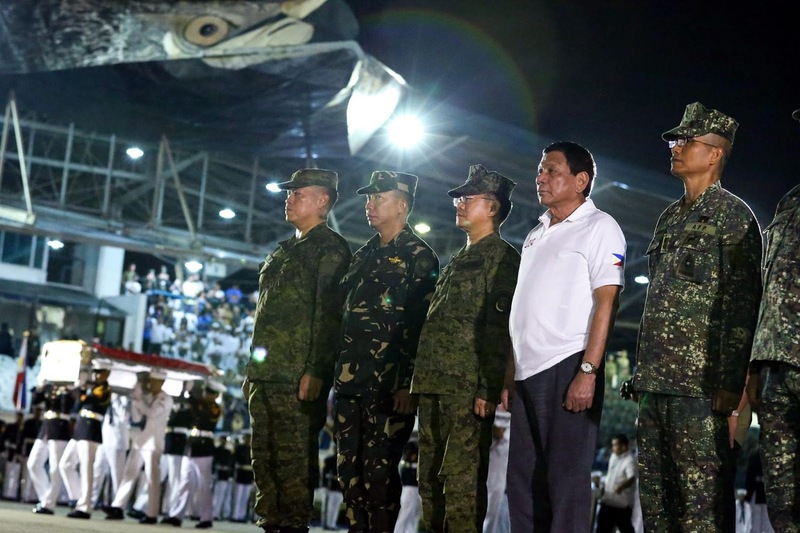 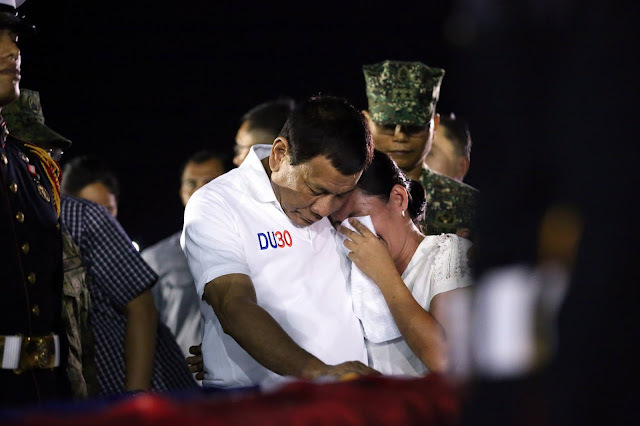 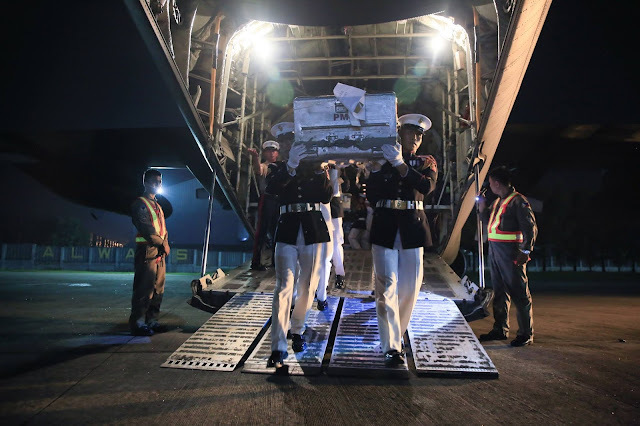 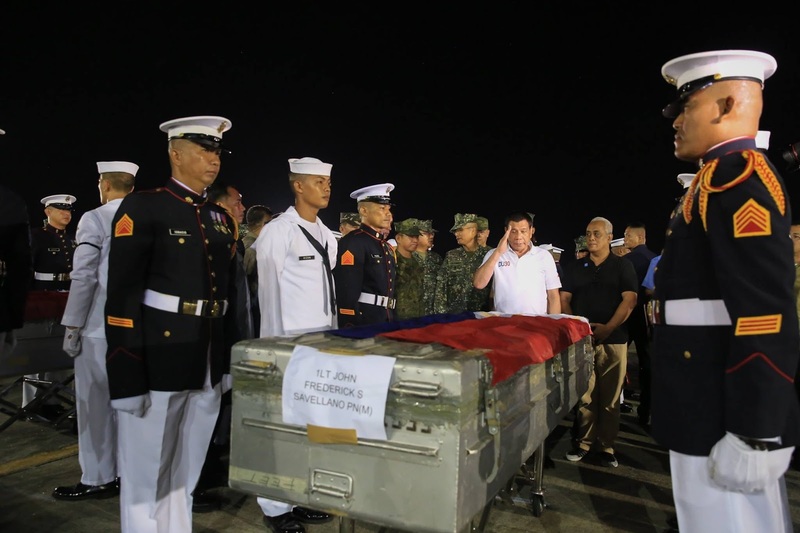 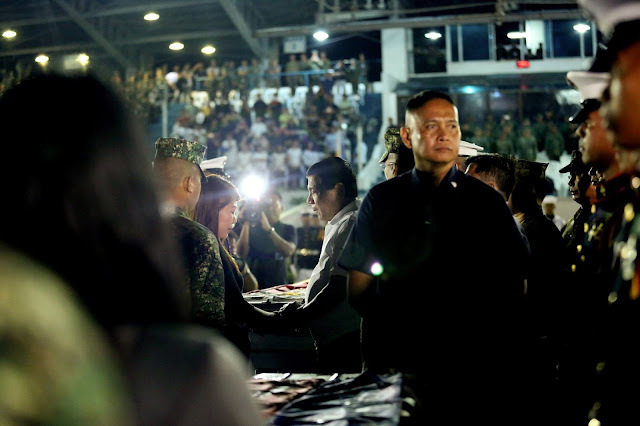 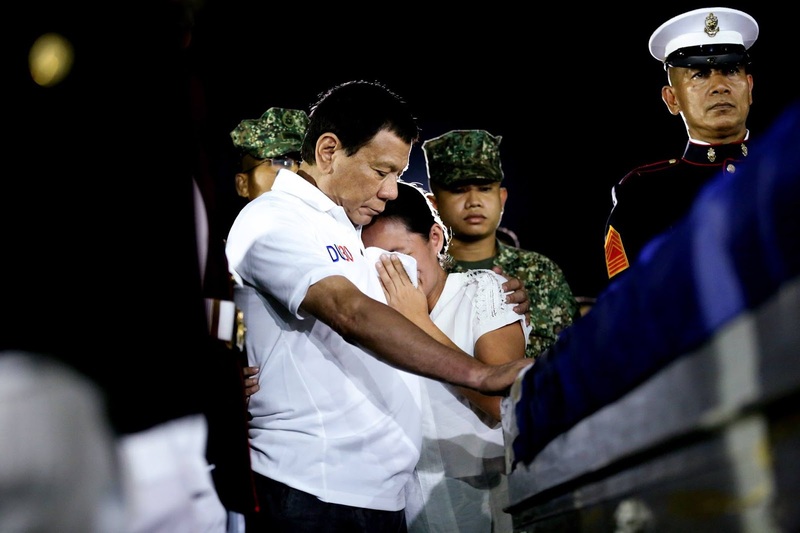 President Rody Duterte honored the fallen Philippine Marine Corps personnel killed in the anti-terror operations in Marawi City during the dignified transfer of the remains at the Villamor Airbase in Pasay City, on June 11, 2017. The fallen heroes are, 1Lt. 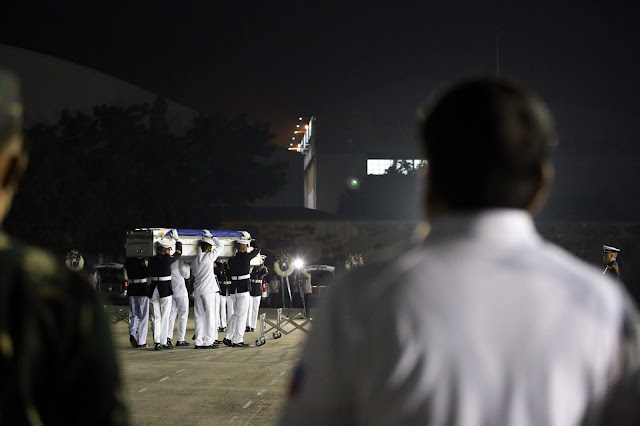 Raymond M. Abad, 1Lt. 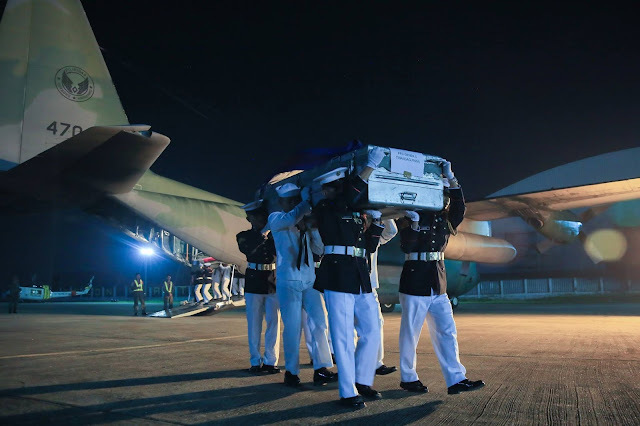 John Frederick S Savellano, SSgt. 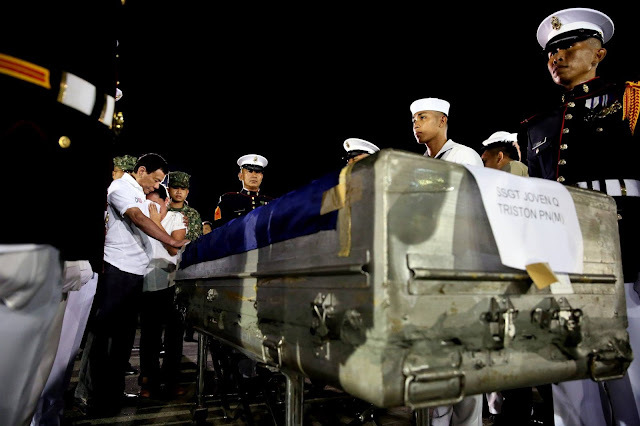 Joven Q. Triston, Sgt. 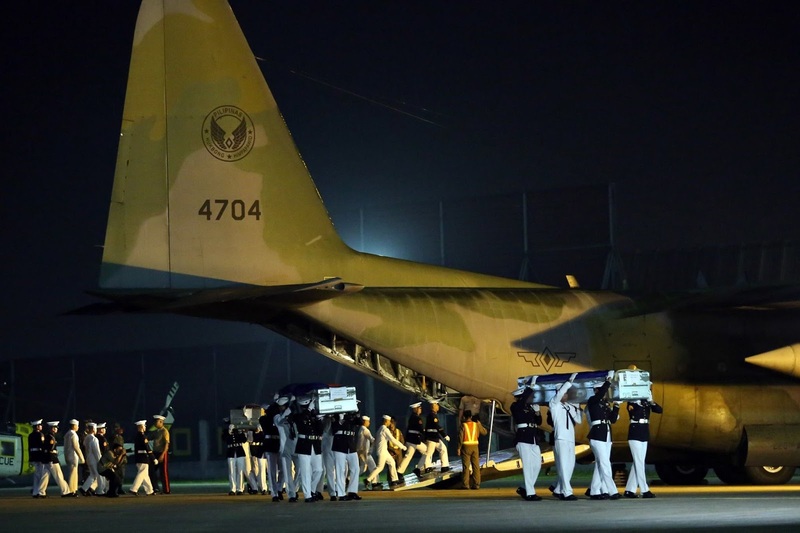 Simeon I. Plares, Cpl. Rolan H. Sumagpang, Pfc Marvin Russel D. Gomez, Pvt. Bernie Jhon B. Lunas and PFC Gener C. Tinangag. As their Commander-in-Chief, President Duterte and officials of the Armed Forces of the Philippines condoled with the bereaved families. 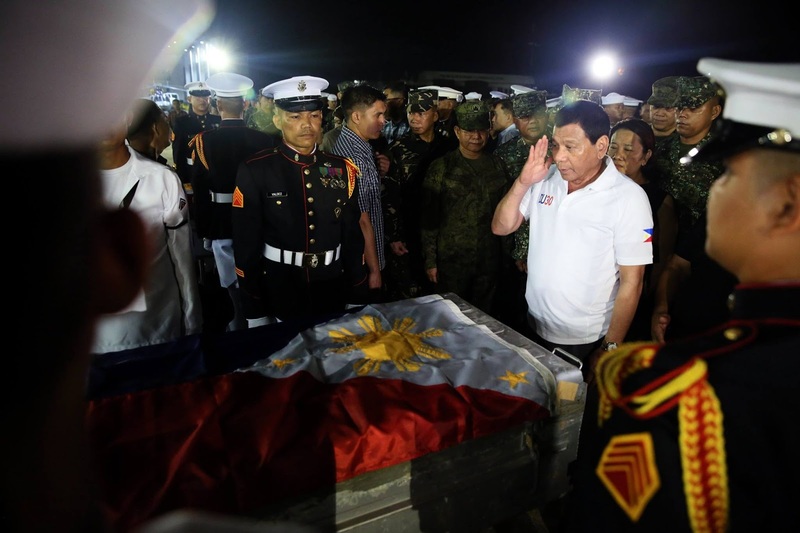 He then proceeded to the Libingan ng mga Bayani, where he joined the funeral of the slain soldiers.